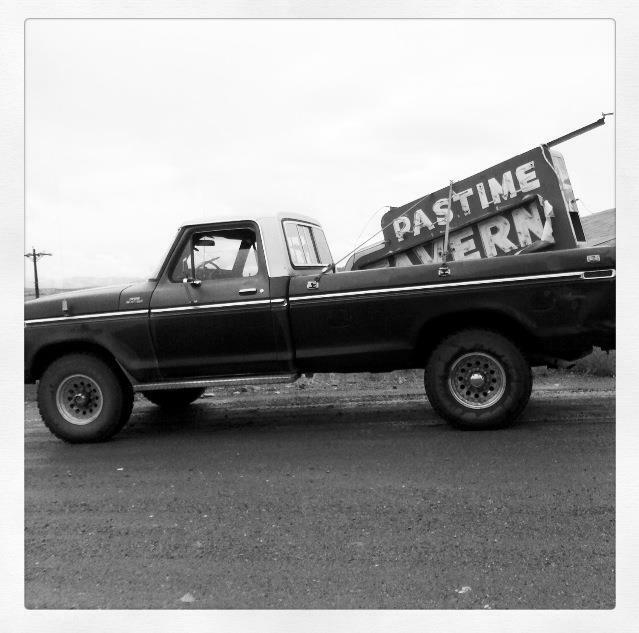 The "Pastime" is the most common name used for bars in Washington state's history but only a few remain, and I make a special point to try and get to them. (At last count I'd identified 59 cities in Washington that have had at least one bar named the Pastime, but I count only 7 or 8 that remain open today.) Oroville's version includes the bonus of an antique Brunswick back bar, which one person associated with the bar said they heard came to Oroville via a bar in Loomis. "Our building was originally constructed as two side by side establishments, housing in its south half, Prince’s Thrifty department store, an important part of the economy in Oroville, WA. The structure dates back to the 1930s when Prince’s Thrifty department store opened in one half and a pool hall operated next door, becoming one space after the departure of Prince’s to new quarters. 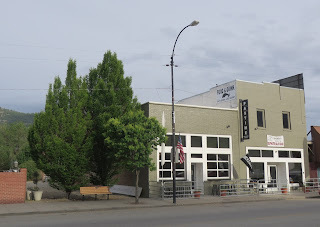 Gaming took place in the billiards parlor next door, becoming one space after the departure of Prince’s to new quarters." 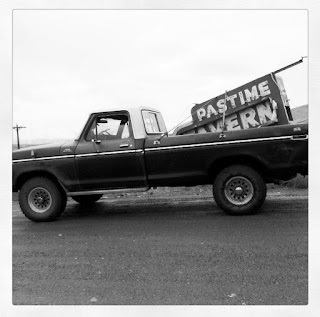 They also add that, "Back in the 70s, the Pastime sold more Olympia Beer than any other tavern in Washington State." Today the dark wood bar and black metal stools seem more like a framed exhibit than an integral part of the bright, capacious and light-colored restaurant. 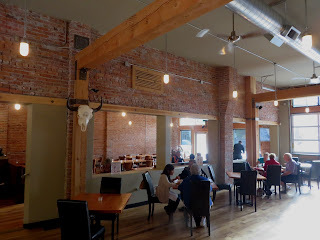 This is a modern restaurant and pub, with fairly upscale food choices and more suited to brunch after church than nursing a cold one with the boys. The old neon sign has been carted away. The spare, clean decor feels like a new craft brewpub, and indeed, since this visit new managers are currently moving in the brew tanks. No doubt the food and beer choices are much better than they were in the old incarnations. Once again I feel the tension between my once-every-couple-years visitor's preference for places that feel old and a bit shabby, and my bittersweet gratitude that someone appears to be pragmatic about what it takes to keep the old places thriving. 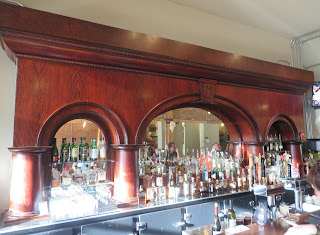 As long as they keep the old name and that backbar, I'll be back.